South Korea’s efforts to achieve peace with its neighbour to the north, assisted by Donald Trump’s unique contributions, have gained new impetus under the current administration. But diplomacy is not the only thing on the agenda for the new government. Liberalisation is also coming to the insurance industry. 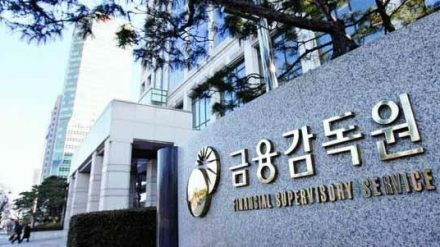 As part of an effort to promote price competition in the non-life sector, the Financial Services Commission (FSC) said last week that it would lower barriers to entry for international reinsurance companies in a move seen as challenging the dominance of Korean Re, which has a 60% market share. “We will prepare an amendment to the law on the insurance business in the first half of this year and push for its enactment in the second half of the year,” the FSC said in a statement translated by BusinessKorea. In addition to the rules on overseas reinsurers, the FSC is revising supervisory and enforcement regulations for reinsurers, upgrading internal control criteria to meet international standards and introducing compulsory qualifications for reinsurers and reinsurance brokers. One of the observations made in the FSC announcement is that Korea’s non-life insurers all tend to use the same methodology to set premiums — determined either by reinsurers or the Korea Insurance Development Institute. With more reinsurance capacity and a greater diversity of providers, the domestic industry should have the opportunity to write more complex risks and access differential pricing. “Insurers that have accumulated statistics and experience in risk assessment and contract acquisition will be given an incentive to lower their premiums,” an FSC official told BusinessKorea. 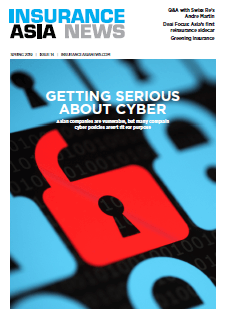 The failure to offer more competitive premiums is also a result of the lack of actuarial experience, which the FSC is also aiming to address as part of a wide-ranging insurance innovation and development plan that includes initiatives to promote cyber insurance, strengthen risk assessment capabilities and overhaul the regulatory framework for the whole industry. More actuaries are also expected to be needed as part of the adoption of IFRS17. The regulator has said that it will draft the amendments to the Insurance Business Law during the next couple of months, with a view to finalising and implementing them in the second half of the year. It remains to be seen if foreign reinsurers will have the appetite to expand capacity in their businesses in Korea. Most of the major international reinsurers already have a presence in the country, but the dominance of Korean Re has persisted. Meanwhile, the threat of increased competition has encouraged Korean Re to expand its own business beyond the domestic market. During the past few years it has increased its foreign premium volumes to around 20%. It has already established an office in London and in January this year announced plans to open a new office in Zurich in 2019. It has also applied to open a branch in Shanghai, though it has been waiting for approval since 2014. “The Swiss entity will play a huge role in boosting our premium volume in Europe from the current US$200 million to more than US$300 million by 2025,” said a Korean Re official. While it is not yet clear what the FSC’s liberalisations will entail, the move to encourage greater foreign reinsurance participation in its domestic market is a welcome one, particularly in light of recent protectionist moves in markets such as China and Indonesia.